Threats of violence may have scared off major theatre chains from showing The Interview, but thanks to its digital release, many viewers are still getting a chance to see the latest from Seth Rogen and James Franco. The Verge reports that, as of Friday, the film was the most popular thing on YouTube. As of this writing, The Interview tops YouTube’s list of the Top Films Videos, although YouTube doesn’t show how many views it’s received—presumably at the behest of Sony Pictures. Why this matters: The Interview was a bit of a special case given all the publicity surrounding the film—and the fact that relatively few theaters showed it—but it does show that there may be a future to same-day digital and theatrical releases. Going to watch a film at a theater will always be an event worth attending for many, but for the wait-until-it’s-out-on-video-crowd, same-day digital releases would be a godsend. If we end up seeing more same-day digital releases, though, we’ll likely see studios put some stronger DRM measures in place. 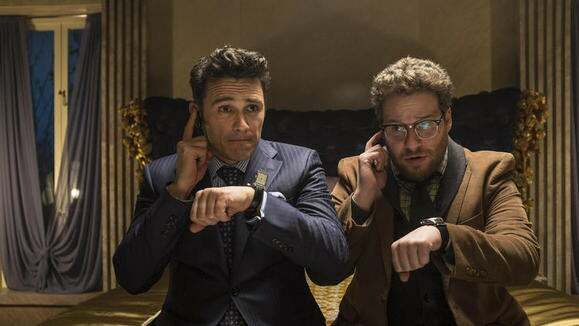 According to Variety, torrent users downloaded The Interview over 900,000 times in its first 24 hours.